The clean lines of this tight fit cover create a classy, elegant look. Fits most banquet chairs. 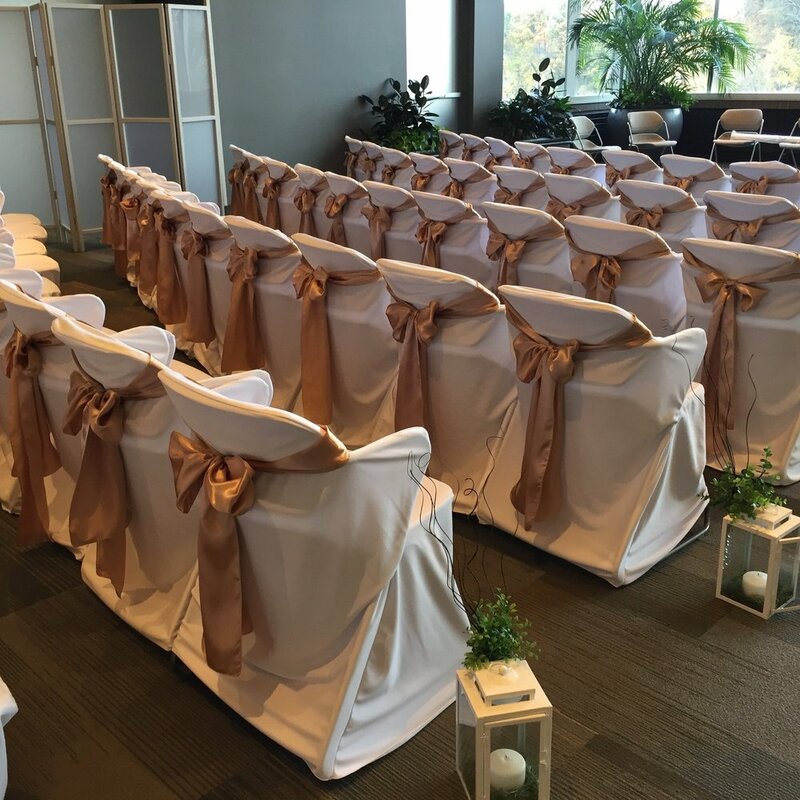 Fits straight-back banquet chairs like those at Amway Grand Plaza and Thousand Oaks, Stonewater and Sunnybrook country clubs. An elegant cover for molded plastic chairs, such as those at the John Ball Zoo Treehouse. This custom cover slips over molded plastic chairs with armrests, such as those at Frederick Meijer Gardens in Grand Rapids, MI. Achieve an elegant look even with metal and plastic folding chairs. Fits those at the Masonic Temple, The Waldron, and Holland Fish & Game Club. This loose fit cover creates a shabby chic look. 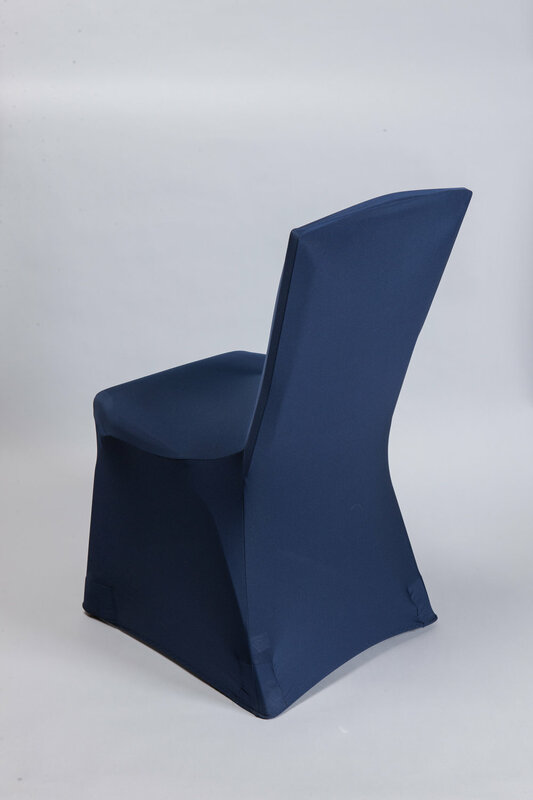 Fits most banquet chairs as well as shorter profile conference-style chairs. With hundreds of sashes in stock, we have the perfect option for your event. Organza, taffeta, satin or spandex? It's your choice!